AhTenZeeOhKnee! 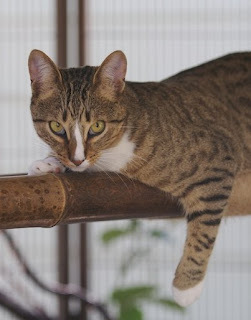 Me and Myself is out on my EyeTailYun tree limb, which is like speaking befur da United Nashuns, and I'ma here today to tellza YOUza bout my furiend, TINY TIMMY and his purrmanent NEUROLOGICAL condishun all caused by da toxic flea/tick over-da-counter stuff - yep just stuff you purrobably has in yur house. Get comfy cuz my politacatically-correct Envirocat self izza gonna giganticatically open yur eyes ... itza all about SirPrizes in da house and on da shelf! Justa when youza thinks life is purrfecto, well stuff pops up! Like Bananas in my Toaster - thatza stuff happening fur shure dat shouldn't be happening. OH holy cannoli! My momma gonna have da Tsunami sized hiss fit when sheeza sees this bottle labeled "Dumb Blonde"! Is it "Nachural or notza Nachural"? 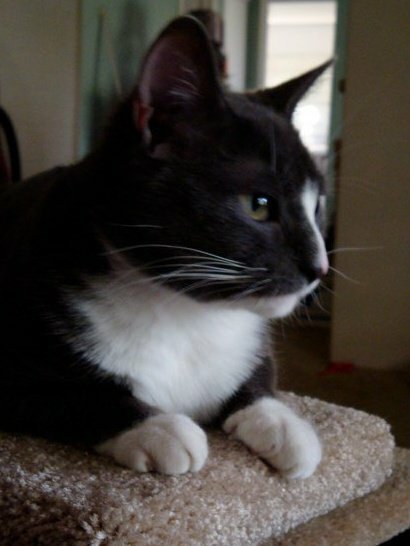 Nachural izza the right stuff, and thizza is my pal Tiny Timmy who suffers frum da purrmanent neurological damage caused by nasty toxic over-the-counter Flea & Tick stuffs- yep uh huh da stuff everybody buys in da neighborhood stores. Didja know in 2008 when I wazza only 2, over 40,000 animals got da exposure to da toxic purroducts and itza caused serious brain imbalances and can be fatal tooza. Today I'm ecstaticat to tell ya, Tiny Timmy has turned his physical and mental challenges into da pawsative message to help others. Heeza catzowey Spokespurrson in Washington DC and to da EPA and Tiny Timmy izza standing tall on hizza soapbox (a good healthy one!) to get da bad stuff removed frum store shelves. 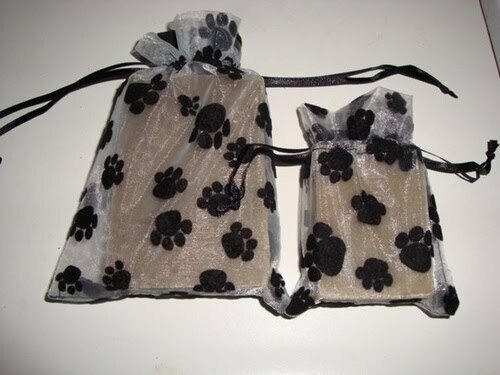 Youza can purrchase da speshule non-toxic nachural soaps heeza has made fur meowsters and pooches to fight da flea and ticks. Nachurally, Tiny Timmy's staff ships in these BeeYouTeeFull organza bags. Check out da ingredients: Oregon rainwater, olive oil, coconut oil, soybean oil, cottonseed oil, shea butter, ground oatmeal, Red Lake Earth (65% diatomaceous earth/35% montmorillonite), handpicked wild Oregon sagebrush, common sage (silvia officinalis) & sweet basil (ocicum basilicum) essential oils, sodium hydroxide (which dissipates with age, thus his soaps are aged a minimum of 30 days for optimal mildness). I wishes you a nachurally nonCATastrophic week. WONDERFUL!! Guido we love you and what a great job you are doing to halp Tiny timmy and let peeps know about da evils of OTC products!!!! AWESOME ARTICLE!! thanks so much for helping getting the word out! the more people know about the evils of the OTC products, the more we can get the big companies to change their ways! Pawsome article Guido.. That you so much for helping spread the word. Let me try that again with the light on this time. Pawsome article Guido.. Thank you for helping spread the word.. Thank yous so muchly mai Italian friend!!! I shoulds has da shipping plugged in on da store Tuesday cuz da peeps at da postie office wuz out todays. *pft* Us kittehs dun gets a day offs, sos whys shoulds da postie peoples? Anyhoo thank yous for helping to spread da wordie!!! Great article. Those products are dangerous! The flea soap from TT smells great and is better to keep our anipals safe. Thank you, Guido, for helping spread the word about the danger of those over-the-counter flea products, and purrs to Tiny Timmy for the great work he is doing. Tiny Timmy is very brave. I am proud of him for turning something bad into a positive situation by helping other kitties. Thank you for this important message, Guido. And thank you to Tiny Timmy for the awesome work he is doing. Doing The Daily Dangle - Itza Just Life!